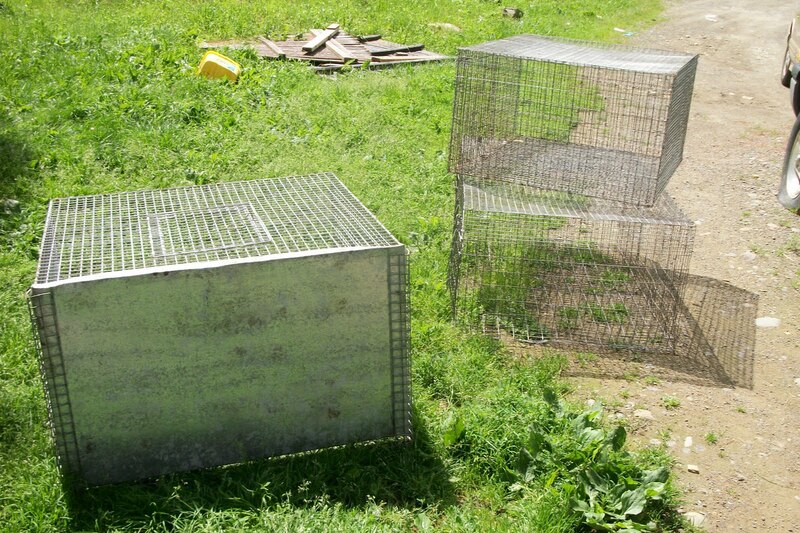 So the other day I came across a wonderful deal on Rabbit cages. These 3 cages are huge and I only paid 5 $ each for them. I have been thinking a long time about raising rabbit's to eat as a way to cut down on the meat bill. When I saw these cages I just couldn't help myself, I took my last bit of money to buy them, Larry was less then impressed but they will come in handy next spring. Have a bit of reading up on rabbits to do and need to build something to hold them.